Here at Communic8, we are a local sound system hire company who specialise in radio hire, walkie talkie hire, radio equipment hire, two way radio service providers, radio communications company, audio visual hire, speakers for hire and lighting systems for hire in Narberth and surrounding areas in Pembrokeshire. We are fortunate to have expert team here at Communic8. This is one of the main reasons why we firmly believe that we should be your first and only port of call for local sound system hire, radio hire, walkie talkie hire, radio equipment hire, two way radio service providers, radio communications company, audio visual hire, speakers for hire and lighting systems for hire in and around the area of Narberth and Pembrokeshire. 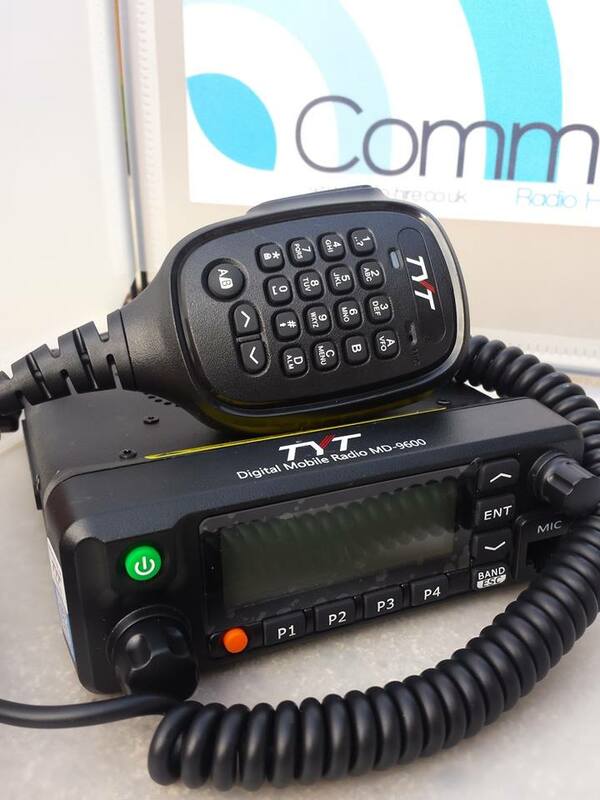 At Communic8, we have a real passion for what we do, and we feel that this shows in every radio communication equipment that we offer for hire to our customers in and around Narberth, Pembrokeshire. We also pride ourselves on the high level of service that we provide alongside all the services that we offer and so we consistently go above and beyond for our valued customers in Narberth and the neighbouring areas in Pembrokeshire. - Professional Team: We have a very professional team here at Communic8, who strive to achieve perfection with every single one of the radio equipment hire that we provide. - Highly Experienced: We’ve been operating as a local sound system hire company in Narberth, working with many different clients, meaning you can rest easy with the knowledge that you are in good hands with our experienced team. 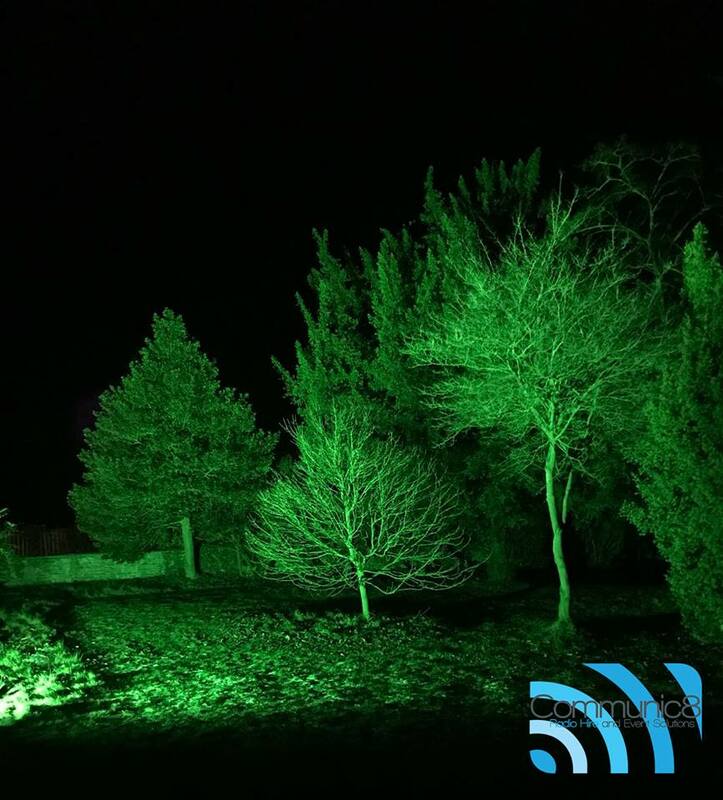 - Passionate: As we’ve mentioned above, we’re very passionate about what we do and with our services in radio communication equipment, that we offer for those throughout Narberth and the surrounding areas in Pembrokeshire. - Competitive Prices: We are proud to say that we offer competitive prices on all the services we provide throughout Narberth and its surrounding areas in Pembrokeshire, such as our radio hire, walkie talkie hire, radio equipment hire, two way radio service providers, radio communications company, audio visual hire, speakers for hire and lighting systems for hire. 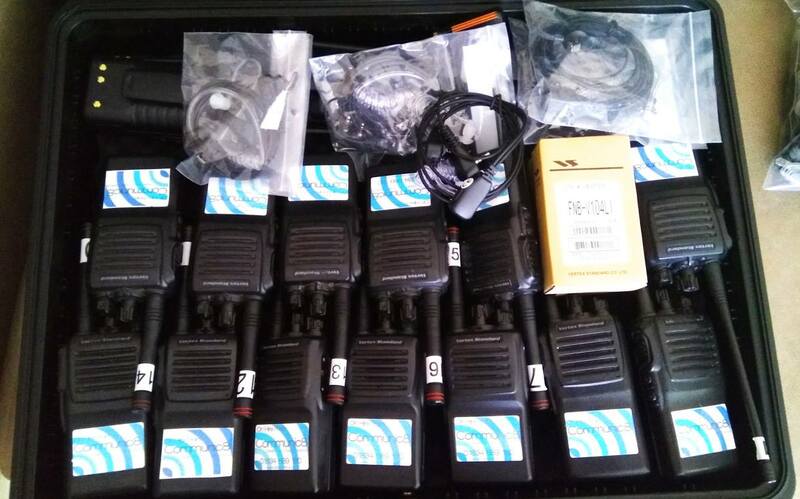 If you're looking to hire 2-way radios or need some help in hiring walkie talkies for your school or outdoor show or to give your security team a reliable and private means of communicating. Finding your perfect radio is easy, we've tried to take out the hassle of making sure you get the perfect radio, after all. 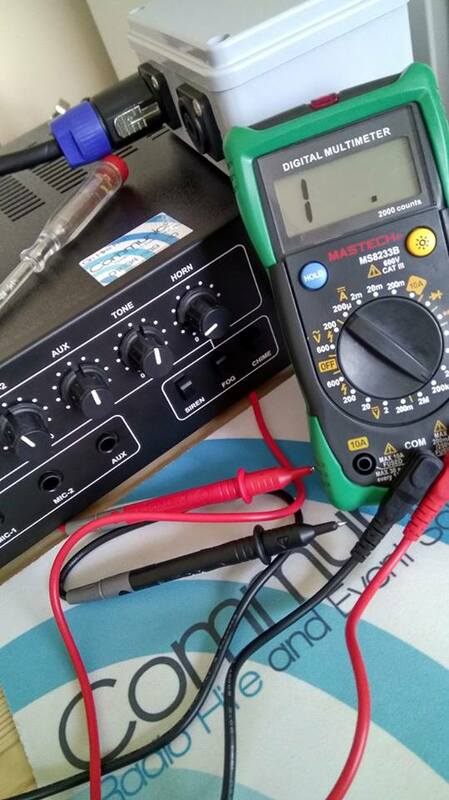 If you are not sure what type of radio you're looking for, it can be confusing. Search via the options below or view all our radios and use the Radio selector tool to find your perfect radio solution. You can get a quote returned back to you within 24 hours and can cater to all types of special requirements and needs. We supply a wide range of weatherproof outdoor sound systems for hire that can be specified and set up for any type of outdoor event. 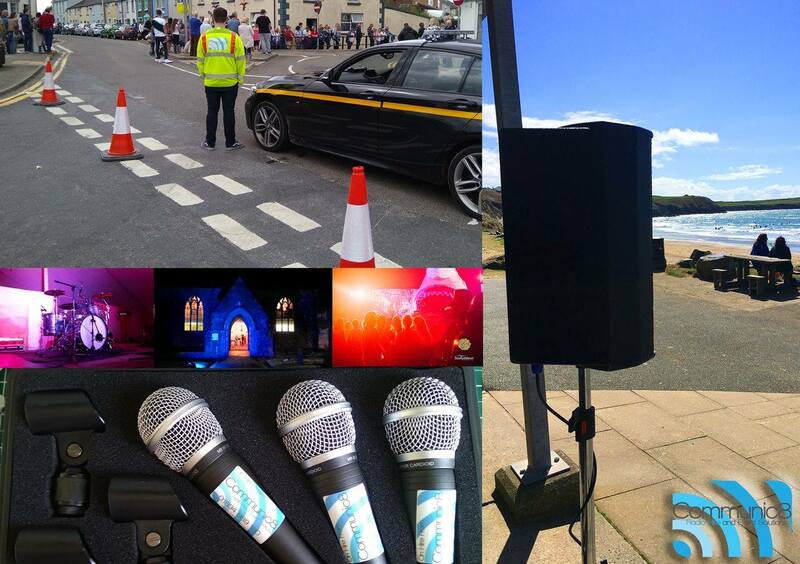 Our outdoor PA systems cover Pembrokeshire, Carmarthenshire, Ceredigion & Swansea. Our Sound Systems are used for various events like weddings, village fetes, outdoor festivals, large BBQs and even motorsport events like a rally in Llandovery forest. At Communic8, we are happy to advise so you have the best sound system for your event. 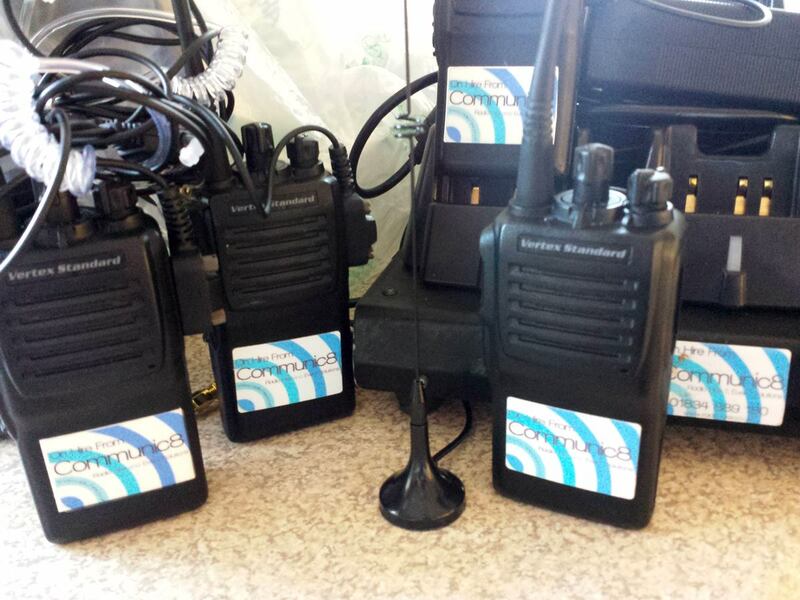 Looking for a company who can provide you with radio communication equipment to hire for your events in Narbeth and the surrounding areas in Pembrokeshire? Get in touch with our team today! We have a range of different products which are perfect for whatever you require. For more information on our products, check out our website or call us today and we will be able provide you with any answers that you have to your questions. Communic8 Hire have been amazing for our Scout group by overhauling some old handsets and also donating some other handsets and batteries. Callum has gone above and beyond to help our group by getting the best prices on products etc. I would highly recommend Communic8 and will defiantly be using them again for any of our communication needs. Absolutely superb from start to finish - cannot find a flaw. Great service and expertise on what to go with, and the equipment itself was superb. 100% recommend using Communic8. It was for my wedding, so a BIG deal, and they were superb!